I cried a lot in 2014. Cried like Chavela. Like I deserved La Llorona award of the year. I was not depressed or unhappy. Yet I felt filled to the brim with emotion. “A year in review” of the horrifying events of 2014 in the U.S. (and our violent impact around the world) would make my copious crying seem rational. And of course, some of my tears were about the pain that people of color, especially black people, are going through – and the fury connected to this pain. I cannot fully explain the rest of my crying. Yet my tears do connect me to this place of caring and concern for the overwhelm QTPOC can easily experience when trying to do something about the widespread violence and abuse perpetrated against our families and communities. For those of us who care deeply about our people and our suffering, and also comprehend the depth of the mess we are in, overwhelm is an easy place to end up. I am writing this to you now, in these first few weeks of 2015, because more than anything I want you to feel free and able to create what you want within yourself and your communities, this year. Because I love us QTPOC and want so much for us to feel full of life, even amidst death. At this time, some of you may be participating in the dominant cultural practice of setting New Years’ resolutions, a practice rooted in the U.S. fanatic culture of doing, doing, doing – devising more plans, more activities, more projects, and so on. Capitalist hetero-patriarchy has taught us that our personal worth is based on how much and how fast we can produce things and our resolutions often reflect this view. Yet when it’s so easy to be overwhelmed by the seemingly insurmountable problems we face, how useful will it be to add more tasks to our plate? Especially when we know – research demonstrates – that most people don’t complete any of their New Year’s goals. In the end our resolution failures leave us feeling defeated and less worthy, in a society that already holds this view of us as QTPOC. So what if this year, to counter-act this overwhelm and dominant culture of doing, we set ourselves a simpler plan that could result in more progress than our to-do lists? What if this year, rather than start with what we want to do, we focus on who we want to BE? This is not a new concept. It is in fact quite ancient. For thousands of years enlightened ones, like The Buddha, have taught that the way through suffering is to first cultivate certain qualities within us (i.e. kindness, courage, acceptance), in order to take helpful action outside of us. What do I mean by this? I mean, who do you want to be and how do you need to act to be that person? What personal qualities prevented you from getting what you wanted and from serving your community in 2014? Were you judgmental and needed compassion (for self or others)? Were you scared and needed courage? Were you dishonest and needed authenticity? And how did these things affect your happiness AND our social movements? The personal is deeply political and we often prevent ourselves from achieving our goals because the qualities we embody and, subsequently, the way we act, cannot create what we actually want. For example, we want to repair a relationship, but aren’t being accountable or forgiving. Or we want to organize in our community but we are being petty and stubborn about small conflicts. The helpful thing about deciding who we want to be is that we can be that right now in this very moment—not at some distant point in the future. We can take our next breath and start acting like who we want to be. Qualities are impermanent and can be self-created the moment we identify and commit to them. Yet how do we identify what qualities we need to help us? Think about someone you admire. How do they act? What about them inspires you? What qualities would you use to describe them? Are they bold? Humble? Full of heart? Do any of their qualities move you in a way that makes you too want to embody them? Sit quietly and go inside. Think of a time when you were stuck and unable to take an action you wanted. Notice what feelings arise when you think of where you got stuck. Become curious about your experience. When the feeling becomes clear, ask yourself, “What does this feeling want from me?” Don’t think too much or force it. Be patient, asking the question until an answer arises. You will know it’s the right answer if it moves or touches you. Do something that relaxes you, close your eyes, then ask yourself, what is my heart’s deepest longing? See what arises. It could be words or images or a song. See if there is a quality associated with your longing that inspires or motivates you. For me, spiritual practice and supporting the happiness and wellbeing of people of color, is very important to me. This year I am focusing on being generous, kind and awake to the miracle of life. Because of this, I now find myself asking, “If I were truly being generous right now, what would I do?” The clarity of the answer helps me achieve my intention (being generous) and also act in accordance with what’s important to me (contribute to the wellbeing of the POC around me). Yes, we have a lot to do in 2015 to fight the oppression we face. And, how could our commitment to specific qualities further our own happiness and the well-being of those around us? I believe that healing and progress can look like being our revolution this year. 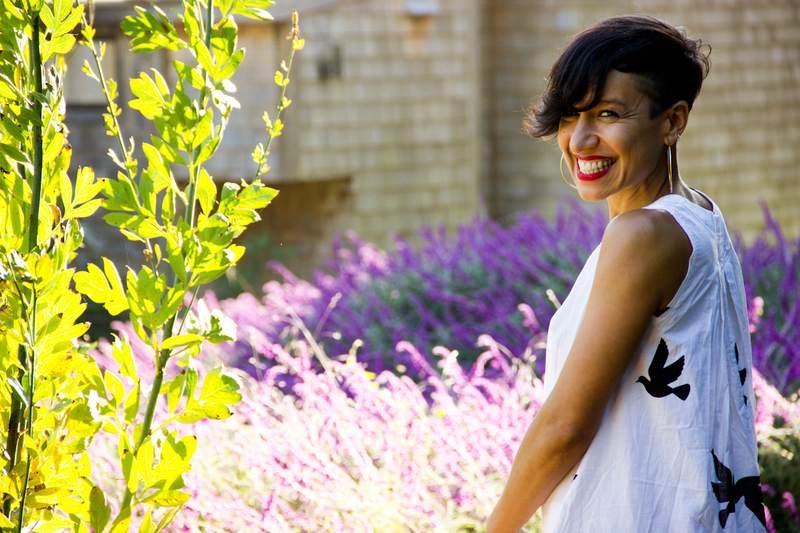 CarmenLeah Ascencio a public health social worker, community theatre facilitator, trauma-sensitive yoga instructor, educator and proud Boricua 2nd generation queer femme. She is currently the director of Get Free, a Black Girl Dangerous program, and is the creator of Freedom Labor Love, a consultancy business that helps organizations and schools be trauma informed, emotionally healthy and inspired social change environments. 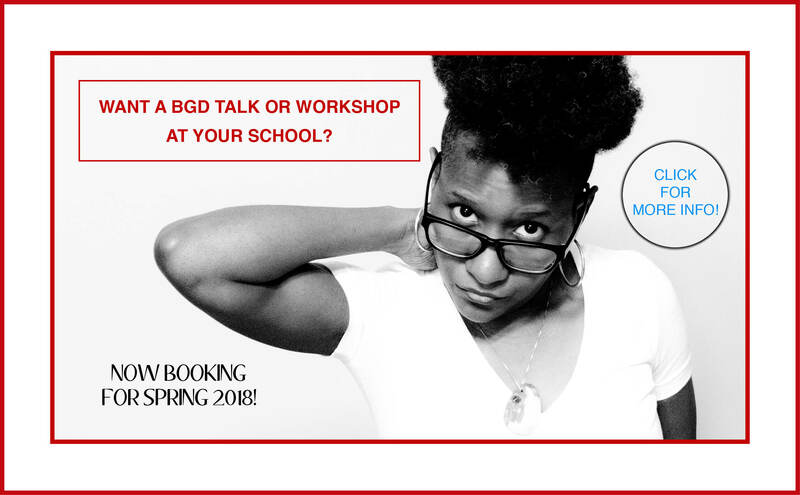 She facilitates BGD Get Free workshops at organizations and schools. To find out about booking CarmenLeah, go here.